If not registered then please Click here to apply online. 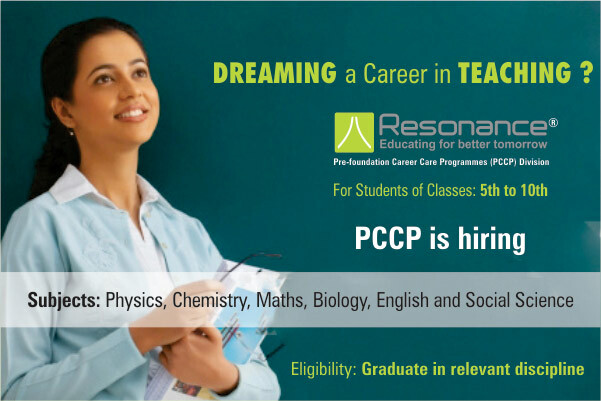 Resonance was founded on 11th April, 2001 than Resonance launched its Pre-Foundation Career Care Programmes (PCCP) Division in 2006. 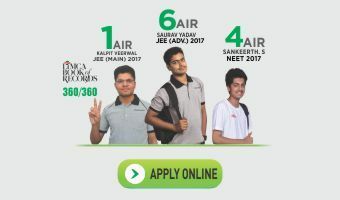 Apart from coaching for competitive examination, the Institute is also offering programmes for the students of Class V to X who appear in Talent Search Examinations like National Talent Search Examination (NTSE), International Olympiads conducted by various Government and Private Organizations. Resonance give 3 Months training to faculties, before they are entrusted with the teaching responsibilities. Remuneration shall commensurate with qualification & experience and shall not be limiting factor for deserving candidates. Physics, Chemistry, Mathematics , Biology, Social Science, English . Graduate/B.tech. from a reputed college .